This time of year can get pretty wet and cold in the northern hemisphere and motivation can be hard when you are battling the elements. I really love riding in the wet, nasty stuff but I HATE the clean up. Muddy bike. Muddy clothes. Dirty Car. Uhhhh. I came up with a solution to ease the pain which I live by - although you still have to clean up, it really minimizes the mess and the hassle. 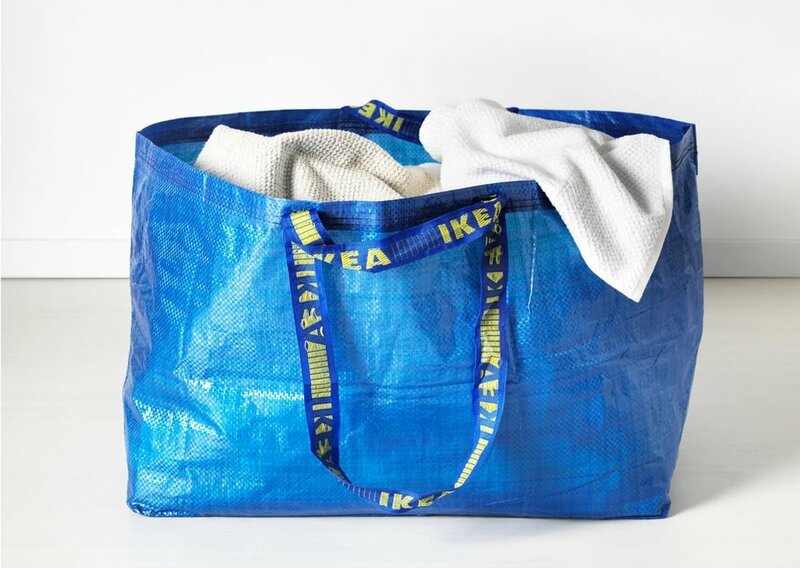 Meet your favorite big blue bag - the IKEA bag. On those rainy days, make sure you are kind to your trails, and postpone your ride if your local park is closed.